25th Anniversary of Omega Educational Foundation's Youth Leadership Conference | Omega Psi Phi Fraternity,Inc. 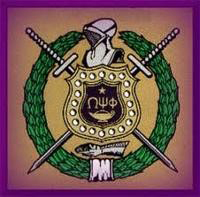 Omega Psi Phi Fraternity, Inc.’s auction is coming soon! Click on the “Donate Cash*” or “Donate Items*” tab to contribute on “Facebook Page”. From October 8 through Oct. 22, Omega Psi Phi Fraternity, Inc. is auctioning off a number of gift cards to raise scholarship funds for the Omega Educational Foundation. www.omegaeducationalfoundation.org. On October 19, 2018, golfers will tee off at 7:30am at the California Country Club 1509 Workman Mill Road, Whittier, CA 90601 626-333-4571.